This 3-bedroom apartment is available to rent on Rua do Poço dos Negros, Misericórdia. This property offers a fully equipped kitchen and living room with balcony access. 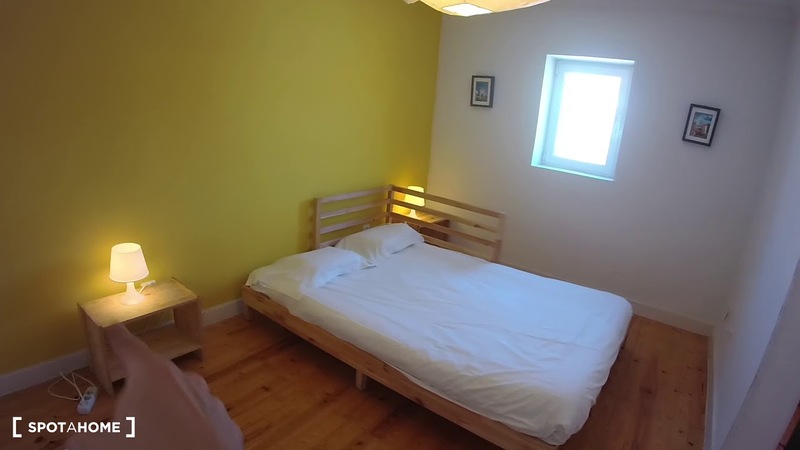 The bedrooms are bright and spacious, and the shared bathroom offers a shower and toilet. The property is located in a lively area of Lisbon with plenty of restaurants, cafes and shops. The area is also well-connected to the rest of the city with bus stops and a train station. Enjoying those hot summer days on your own balcony - the dream! Living in a lively area of Lisbon. The decoration is both modern and cosy. Relaxing in your bathtub after a long day - perfect! The Cç. do Combro bus stop is a minute's walk from this property and services line 28E. The Santos train station is a 10-minute walk from this property and services the Linha de Cascais.